Need an indoor plant that looks like an outdoor grass? Although not truly a grass but a member of the Lily family, this tropical plant can do the job. As an added bonus, in the right conditions you may see it produce unique tiny blue, violet or white flowers on a spike. 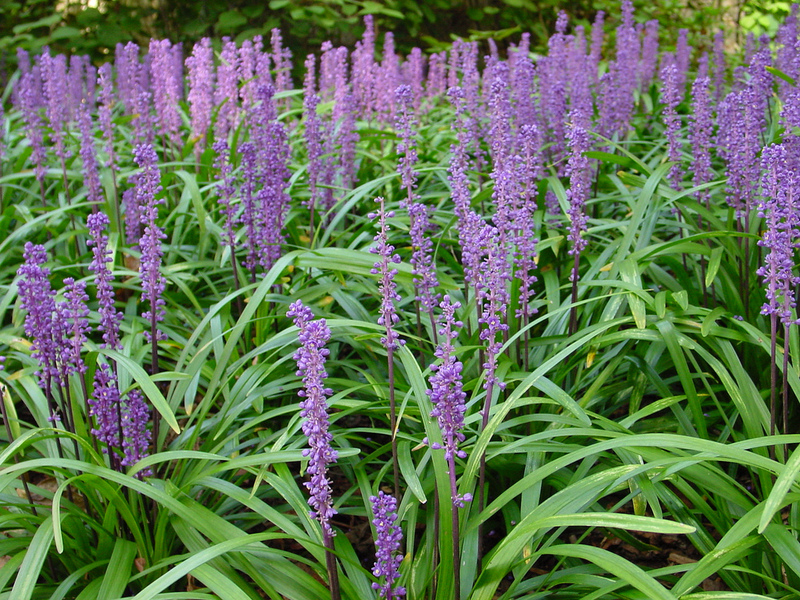 Native to eastern Asia, Lilyturf grows in shady areas on the tropical forest floor. 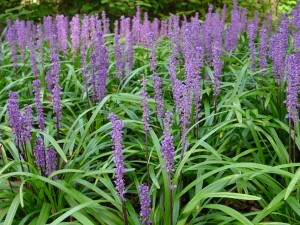 It is often planted as an outdoor ground cover in the southeastern United States where it grows as a perennial. It can be used as an annual in southern Ontario gardens and looks spectacular in rock gardens and containers. Most often in Toronto you will see it used in large indoor atriums as an understory plant beneath palms and other exotic tropicals. It also works well as a mass planting in indoor planter boxes. Lilyturf requires medium to high light indoors, and prefers relatively high humidity. It may brown on the tips of the leaves in dry conditions. Lilyturf is very resistant to pests and disease. Water thoroughly and allow to dry out well between waterings. Fertilize monthly from February through until October.